Do you know how long each work phase actually takes at the worksite? Why is work interrupted? How is time spent? Fluent Go! provides answers to all of these questions, and increases the productivity of construction worksites. The starting and ending of work as well are entered into the data collection application, as are any interruptions that occur. Fluent Go! will record the reason for each interruption in one place, providing accurate information on how things should be developed. This eliminates idle time, as the work manager has access to up-to-date information at all times. 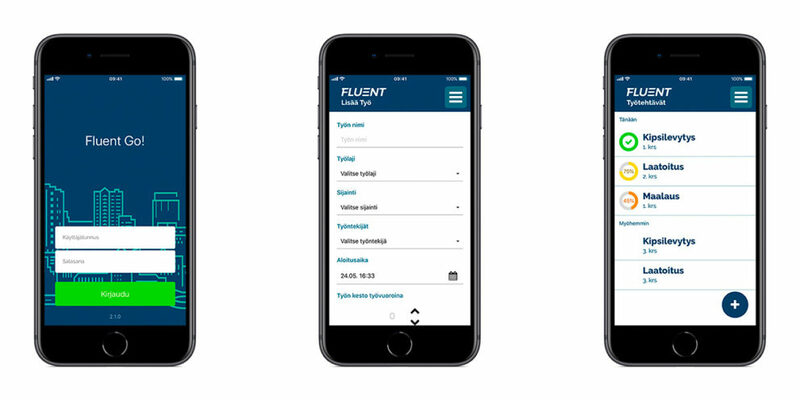 Data is transferred to Fluent Planner in real time, where the work manager will receive information on the duration of the work, delays, and any problems that may affect the schedule and cause inconvenience to the workers. Fluent Go! mobile application allows for adding photographs and attachments to individual work phases. 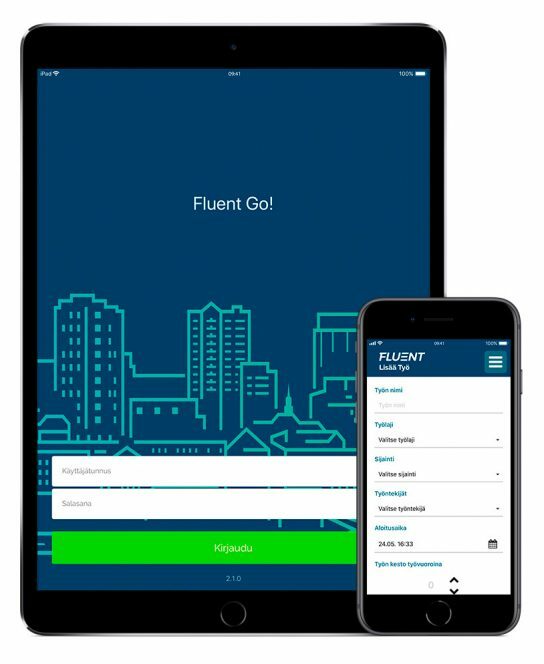 In addition to Fluent Go!, these can also be viewed using Fluent Planner. Planning and completing work tasks become more efficient when the duration of each work phase is known based on previous experience, helping to ensure that the same mistakes will not be repeated on later worksites. Collected data can also be used as the basis of planning the upcoming weeks at the worksite. Time used for completing the work, materials needed for each type of work, interruptions, problems, and causes of these problems can be verified, and the data collected can be used for later calculations. Knowing what has happened at the worksite enables preparing for problem situations in advance in the next plan. Exact data enhances the accuracy of planning, and reduces idle time at your worksite.